In 2015, more than 3,000 people were injured or killed in alcohol-related crashes in Wisconsin, and alcohol was a factor in 34% of traffic-related fatalities. We have recovered millions of dollars for our injured clients. * Contact us for a free, no-obligation consultation. Being the innocent victim in a drunk driving accident can be devastating. While drunk drivers may face criminal penalties and lose their license as a consequence of drinking and driving, victims of these accidents have the right to bring civil claims against these drivers to seek compensation for their injuries. By contacting a Wausau drunk driving accident lawyer, you can learn about your rights as a DUI accident victim. 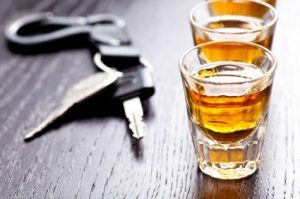 How much is my DUI accident claim worth? If you or a family member were injured by a drunk driver, you will benefit from having an attorney who understands insurance company tricks and tactics — and who will fight for you and your family. The drunk driving accident lawyers at Eaton John Overbey Jackman, LLP are here to work for you. Call our personal injury lawyers at 715.843.6700 for a free, no-obligation consultation. There is no fee unless we win. Drunk Driving Accident Lawyer serving clients in the north central Wisconsin area. Our Wausau drunk driving accident lawyers represent clients in communities such as Wausau, Wisconsin Rapids, Stevens Point, Weston, Shawano, Merrill, Rhinelander, Antigo, Medford, Plover, Tomahawk, Minocqua, Medford, Neillsville and Marshfield. If you or a loved one were the victim of DUI accident, contact one of our Wausau car accident lawyers at 715.843.6700 for a free consultation. Click here for more information about our Wausau car accident lawyers.